The last Spanish National Cluster Congress held in Madrid grouped more than 100 participants of Innovative Business Clusters throughout Spain. Joaquim Solana Monleón, cluster manager of CENFIM, presented the Sentinel internationalisation strategy to help SMEs going to the Contract Hospitality market outside Europe. Xavier Amores, manager of the CWP, participated in the table on Engagement: how to generate and promote innovative projects. 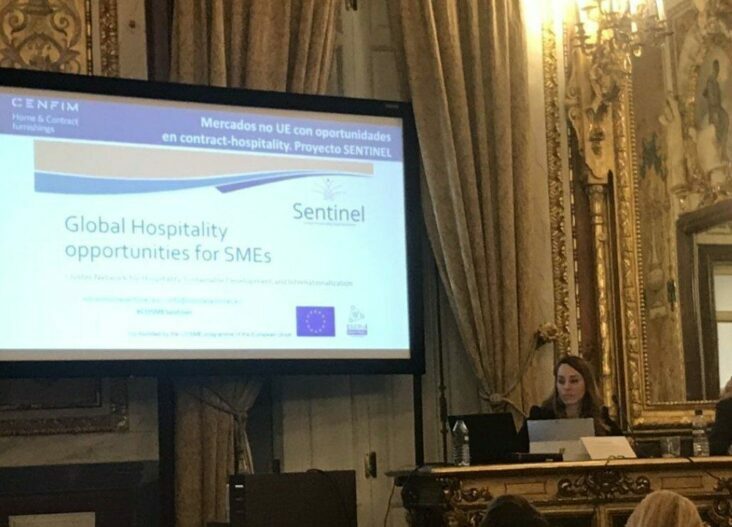 He explained several cases of success in boosting cooperative projects in a session that allowed for the exchange of good practices and the cluster boosting programs at European and state level, including the Sentinel project.